We are in the year end testing window. Testing can wear teachers and students down. Do what you can to turn off testing anxiety. This year the RISE is replacing the SAGE as Utah’s computer adaptive standards assessment for students in grades 3-8. Make sure your child gets a good night’s sleep and eats a healthy breakfast. Make the morning of testing as relaxing as possible by arriving to school on time. Encourage children to focus and pace themselves without rushing. It’s important to take your time, and read each question carefully. Remind children that if the test questions seem hard, that means they’re doing well. Just like the ACT college entrance exam, the RISE test is computer adaptive, which means it adapts to the student’s abilities by giving harder questions when a student gets something correct, and easier questions when the student gives a wrong answer. Make sure you take time to go outside and play! 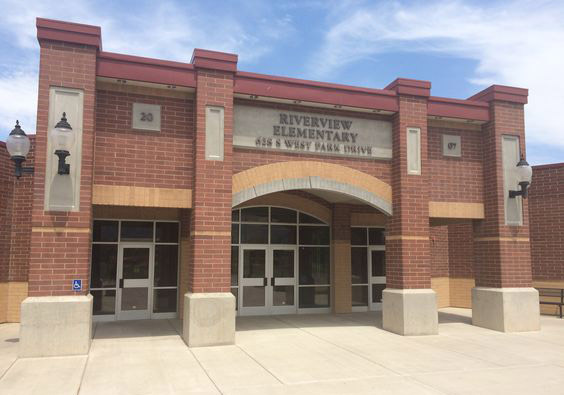 Classroom placement at Riverview is a process that takes teachers and administration many hours of careful thought and consideration. We look at gender, learning abilities, peer friendships, combinations (both positive and non-constructive), class size, social and academic strengths and challenges, diversity, as well as leadership and role models to form equitable classroom communities that ensure both social and academic development for all children. We take our classroom placement decisions very seriously and do our best to create classroom communities that promote growth and development for each student. Our goal is to create classes that address both the fit between the student and teacher and to create a classroom environment that is conducive to learning for all students. Once the classroom communities have been formed the movement of children from parent requests alters the integrity of the groups and causes a chain reaction within the classroom balance. We will not be sending a form to accept requests as in previous years. Last year we had over 600 requests, too many requests to have balanced classrooms. We respect tremendously that you know your student in ways we could not possibly know them. We likewise ask that you trust that your child’s teacher has knowledge about your child’s academic, social, emotional, and behavior needs that may vary from what you see in the home setting. Thank you for your cooperation with this. It's time for the BUY ONE GET ONE FREE book fair! The fair will be held before school, during lunch, and after school from April 15 to April 19. PTA Spring Carnival - Monday, May 13th! There will be a silent auction for the awesome themed baskets that have been donated and carefully prepared by each class, as well as other great items. To raise funds for such activities, the PTA is asking that each child contribute something that goes along with their grade's gift basket theme. If you would like to donate something not assigned to your child's theme, please do! If you donate a 2-liter bottle of soda - your child gets one extra ticket. One ticket per student. Health regulations prohibits serving homemade treats. All donations need to be turned in by Tuesday, May 7th. Cash Donations Accepted. This allows the committee to purchase needed items. May 20th – 1st & 2nd grade talent show 9:00-10:30 a.m.
May 21st – 3rd & 4th grade talent show 9:00-10:30 a.m.
May 22nd – 5th & 6th grade talent show 9:00-10:30 a.m.